Don’t use client accounts on the LE. I saw exactly this on Twitter. Several others say something thing there re never using automation. My client says she does use the Plann app and had used at about the time of receiving the message. use the Plann app and had used at about the time of receiving the message. That’s probably the reason. Not sure if Plann is actually allowed to use the API, but even just accessing things like that might trigger it because it’s third party. I run 3 accounts per proxy and have been for a while, no issue yet but clients are getting this message. I received this message as well. I m using a 3rd party app to do follows and unfollows but also on some random days do 200-400 follows on my own to get follow backs. So should I change my password or turn of the app for a few days? Are there any bits of wisdom in that discussion you can share with us Lvl 1s? Thanks for sharing, that’s super intense. Can you elaborate on this comment? 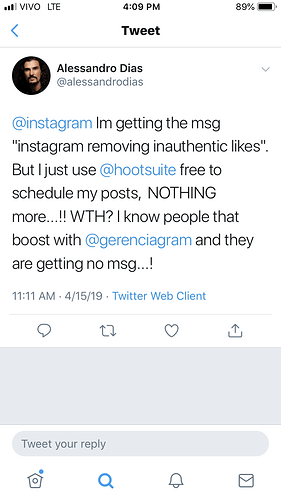 You are saying the account was deleted because of copyright issues but also happened to be utilizing a growth service? Am I reading that right? An hour after I see the removing inauthentic activity and threats on banning the account, I got follow blocked - I have been following at the same speed for an month and it’s a tolerable speed. Is this something to be worried about? What do you guys suggest I do? Is it possible there is a parallel here between the user engaging a lot on their end in addition to what we do? This is an excellent question. I am also curious. 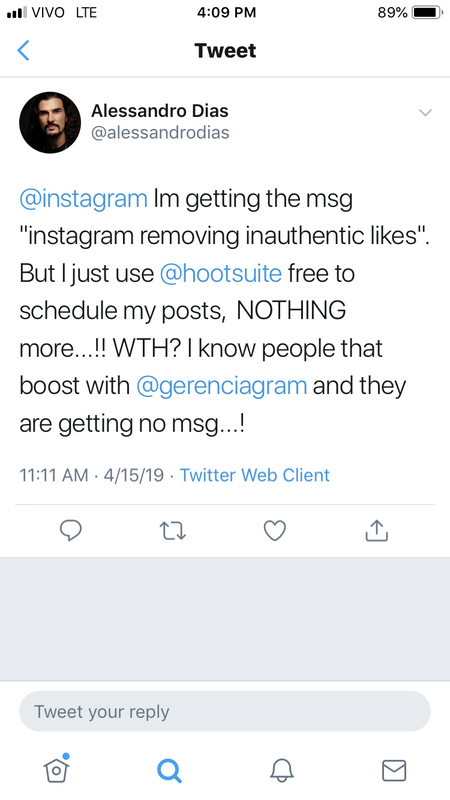 I have 20 clients and only 3 of them received the message (BTW my service is Jarvee Follow/Unfollow, basically). By reading about the message online I have been mostly reassured it means no harm for them, but I still have not been able to understand why only a small percentage of my clients are sent the message. I could not identify any common factors between the 3 clients’ accounts, such as their proxy, settings, length of time using my service etc. But it could possibly be due to their personal activity being high which creates very high activity when combined with my service…I had not thought of that. Okay, well we can knock that off the list. Do you have any suspicions about what it could be? Perhaps IG just picks a small percentage at random each time they send out this message? It could potentially be all accounts with actions that even resemble something of a bot, so almost everyone. I’d turn likes back 20% and let it settle, then you could wait a week and turn it up 5-10% if you feel the need it.